Many couples seek out modern-day medical help when they have trouble conceiving, but there is a whole field of options in Traditional Chinese Medicine that can help couples with fertility issues. From proper nutrition and herbal supplements to acupuncture treatments, this time-tested form of gentle intervention can assist families who are struggling to conceive. 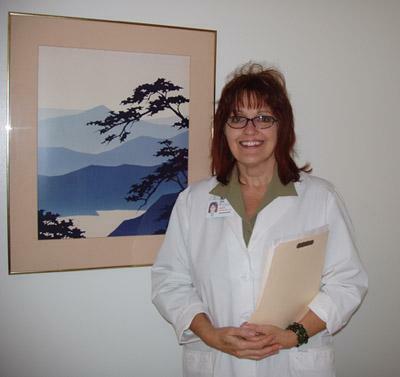 LoveToKnow Pregnancy recently spoke with Linda C. D'Agostino, a registered nurse, registered acupuncturist, and Nationally Board Certified Diplomate in Acupuncture and Chinese Herbology. She operates a private practice in Harrisburg, Pennsylvania. LTK: What exactly is Traditional Chinese Medicine? Linda C. D'Agostino: Traditional Chinese Medicine (TCM) is an ancient medical art that maintains or restores the balance of energy in the human body, all the while working in accord with our natural environment. The TCM practitioner will employ one or more of several modalities including acupuncture, herbal therapy, diet therapy, and lifestyle counseling. LTK: How does TCM work? Linda: In TCM theory, the free flow of energy in the body is critical to good health. Obstruction or stagnation of that energy will bring on an unhealthy condition. The energy, called Qi (chee), flows along specific pathways called meridians. When acupuncture needles are inserted into specific points on a given meridian, the stagnant or sluggish Qi is redirected so it flows properly along that meridian, thereby improving blood circulation, nourishing essence, and promoting overall well-being. LTK: How did you get involved in TCM and acupuncture? Linda: My husband tried acupuncture hoping for relief from a pain that he'd had for over ten years. And for the first time in over a decade, he had pain relief--without drugs! A few months later, I saw an advertisement for an acupuncture school in New Mexico and I knew intuitively that I would be embarking on a new career. LTK: How can TCM help women who are trying to conceive? Linda: TCM has been used for many, many centuries to help create an environment that welcomes the embryo. The ancients would tell the prospective mother-to-be to "cultivate the soil before planting the seed." In addition to the general balancing of the woman's whole energy system, TCM can be specifically focused to improve several fertility-critical functions: regulating the menstrual cycle, balancing the kidney channel (blood/essence) and the liver channel (anger/depression), nourishing the body's Yin and Yang, and warming the womb. LTK: How soon should a woman seek TCM therapies? Linda: Ideally, a woman should start a TCM plan six months prior to seriously trying to become pregnant. This will give her time to get her body into a finely balanced state. At the minimum, she should start being treated no later than three months prior to pregnancy. LTK: Are there specific things a woman can do at home to increase her fertility? Linda: Definitely! Eat a well-balanced diet that focuses on organic fresh fruits and vegetables, whole grains, wild fish, eggs, soy products, and nuts. Meditation, breathing exercises, and Qigong (energy exercise) are simple yet excellent techniques for nourishing the womb. And, thinking happily and positively will always help both before and during pregnancy. LTK: How can she find a TCM practitioner? Linda: To find a nationally board-certified practitioner, check the National Certification Commission for Acupuncture and Oriental Medicine (NCCAOM). The NCCAOM promotes the highest standards of competence and safety. LTK: Can TCM also help men who may have fertility issues? Linda: Yes. In fact, a man really should receive acupuncture even though it is his wife who is bearing the brunt of the pregnancy process. 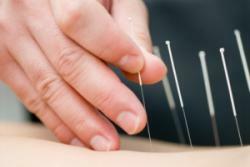 Acupuncture and herbs can help the man in several ways, such as keeping the seminal tract free of Qi blockages, promoting good sperm morphology (size and shape) and mobility (delivery), promoting resistance to antibodies (anti-sperm), improving sperm penetration power (cervical mucus and outer egg), and keeping his kidney system toned and his overall energy in balance. If you'd like more information about Traditional Chinese Medicine and pregnancy, Linda C. D'Agostino recommends checking out Acupuncture.com and Acufinder.com, which are two interesting and informative TCM sites for the layperson. For some simple yet very good books, she recommends reading Asian Health Secrets by Letha Hadady, The Yoga of Eating by Charles Eisenstein, and Between Heaven and Earth by Harriet Beinfield and Efrem Korngold.